The day I discovered BB cream belongs to my Top Ten Happiest Days of My Life list. BB Creams are heaven sent for my extremely sensitive/acne-prone skin. I think that Dr. Schrammek rightfully deserves a Nobel Prize for creating this cosmetic wonder. Really. BB Creams are great, but not all are created equal. Some does the job well, others don't. One who undoubtedly does a good job is Neutrogena Fine Fairness BB Cream UV. I've been a loyal user of Neutrogena products eversince my vainglorious Aunt forced a skin routine on me. I was about fifteen years old then. With the knowledge of how sensitive my skin was, she insisted that I use Neutrogena products (Transparent facial bar, Moisturizer, Body Oil). Since my skin became good friends with Neutrogena products, I would often stock up on the essentials whenever I would visit my Aunt in the US. It was not yet available in this part of the world that time. Neutrogena has become synonymous with gentleness. They're known for producing good quality products for every skin type. Neutrogena Fine Fairness BB Cream's claim is that it moisturizes and corrects blemishes at the same time plus it is infused with Vitamin C, Vit. B3, Phyto-lily and a HealthyWhite Complex that lightens skintone. It also has skintone-matching minerals. It comes in only one shade. It doesn't match the skintone perfectly. As you can clearly see, Neutrogena Fine Fairness BB Cream does not fall short of their claim. 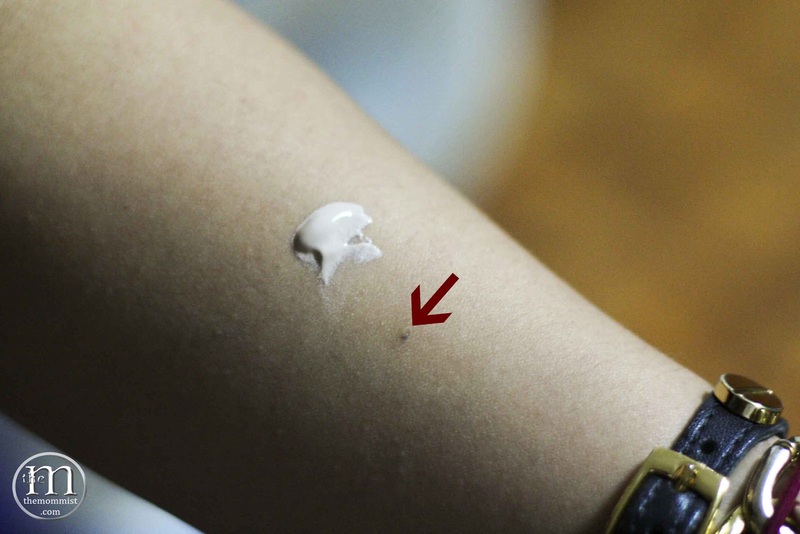 Below is an example of what this BB cream can do in terms of coverage. 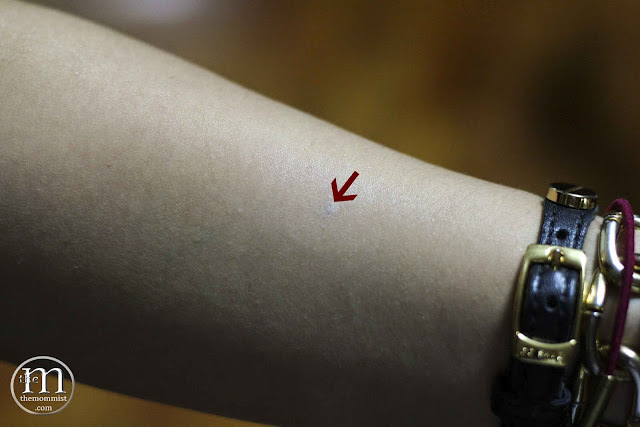 I have a small mark from a healed mosquito bite. Voilà! The mark is barely visible after application! How long one 30 ml bottle lasts depends on the usage. I wear a full face every other day and one bottle lasts me about a month and a half. 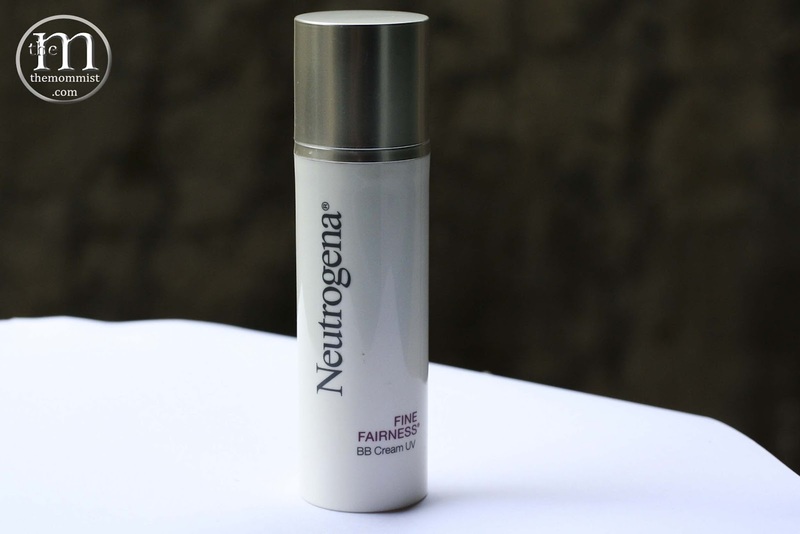 If you're searching for a BB Cream that can be used daily and is good for the skin, you won't be disappointed with Neutrogena Fine Fairness BB Cream UV. After all, it's from Neutrogena. DISCLAIMER: This is not a paid post. The author paid for the product herself.